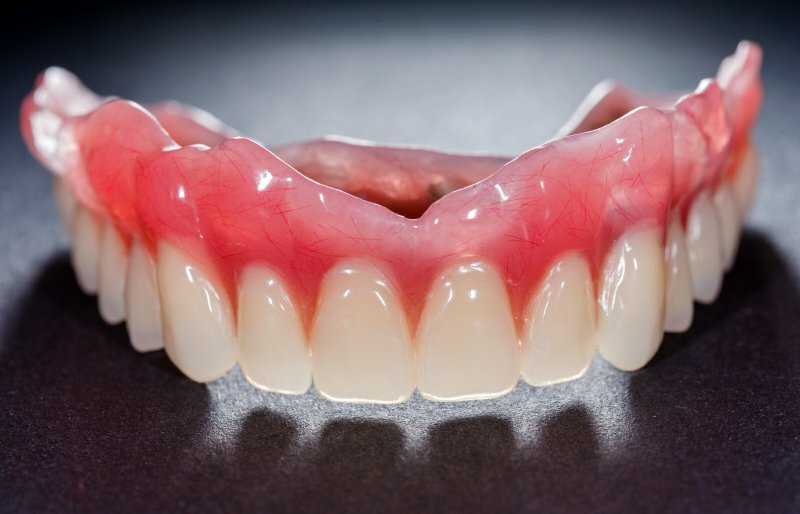 If you’ve never had a denture before, then it’s important that you understand that using one can be a process in the beginning. Dentures can be awkward at first, but as time goes by you’ll get used to your restoration and be able to smile and chew foods with more confidence. To help you understand this process a bit better, a prosthodontist is prepared to give four expectations you should have when adjusting to life with dentures in Jacksonville. You won’t be used to your denture in a day (or even a week for that matter), so it’s important that you have your diet planned out before you receive the denture. Make sure that it consists of soft foods, including mashed potatoes, puddings, soft breads, steamed vegetables, beans, ice cream, smoothies, eggs, or other foods that don’t require extensive chewing or grinding. Over time, you can start to reintroduce tougher foods to your diet by cutting them into smaller pieces. The process of getting used to your denture can take weeks, but those who recently had teeth extracted in order to make room for a denture may need to wait months. This is because the gums need to properly heal before a denture can be seated. Once you do have the denture, you’ll likely experience increased saliva production. This is likely because your denture is pressing up against nerves or glands that trigger salivation. It’s also possible that you’ll develop sore spots inside your mouth, but this can be reduced by taking hour-long breaks after wearing the dentures for several hours. To reduce discomfort caused by sores, rinse your mouth out with a warm saltwater mixture. After the first month of wear, you may want to start using denture adhesive. Now that sore spots and salivation have reduced, adhesive can be used to make your denture fit more comfortably. You’ll also be able to have more confidence when eating and speaking. After this initial 30 days, most individuals should be able to resume normal activities. If soreness or prolonged salivation continues after your 30-day period, it’s time to visit the prosthodontist. They can readjust your denture, perform relinings to create a better fit, and reduce discomfort caused by the denture. After your denture properly fits, you should be visiting the dentist once every six months for a checkup so they can confirm that your denture isn’t damaging your oral tissue. Dentures typically last anywhere from 5 to 10 years depending on how well you maintain them in between visits. Need more advice on getting used to your dental device? Schedule an appointment with an expert on dentures in Jacksonville today! Dr. Matthew Nawrocki earned his DMD degree from the University of Florida College of Dentistry. During his time there, he completed a one-year fellowship in Prosthodontics and furthered his knowledge via a 3-year residency. After completion, he earned his Certificate in Prosthodontics. To learn more about dentures or get yours created, you can contact him through his website.